Lonni has been a Certified Dental Technician for over 40 years and is a sustaining member of the Academy of Cosmetic Dentistry. 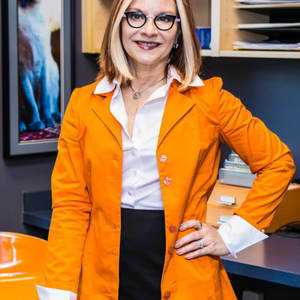 Some of her professional memberships include Board Member of The National Association of Dental Laboratories, President of The Ohio Dental Laboratoy Association. American Academy of Cosmetic Dentistry, and the only laboratory invited to join the Seattle Sfumato Study Club in Columbus. She is recognized as a leader in her profession and is frequently asked to make presentations about her expertise in both digital and analog technology. She has taught at both Ohio State University and Columbus State Community College. In 2016 she was named one of the Top 25 Women in Dentistry. Lonni feels strongly about giving back to the community. She was President of Central Ohio Planned Parenthood and was intricately involved in moving it to the Statewide PPGOH organization. She has served on several boards including The Memorial for Lost Children, Columbus Landmark Foundation, Citizens for a better Skyline, Columbus State, Columbus Museum of Art, The Contemporary American Theater Co. She has also started several fund raising campaigns such as the Art Crawl for German Village, and Condom Couture for Planned Parenthood. Whenever Lonni finds time to sit down and breathe she enjoys traveling, spending time with great friends, competing in West Coast Swing Dancing and giving her undivided attention to her "son" Simone, her Siamese Cat. 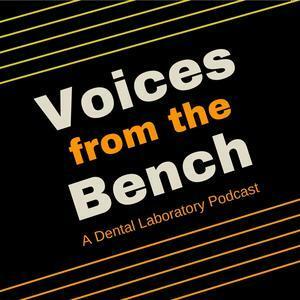 Lonni J. Thompson, CDT has been a guest on 3 episodes.